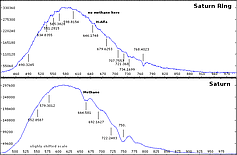 Recording and analyzing spectrum of Saturn and it rings using Star Analyser. Saturn composes of hydrogen, methane and sulfur compounds. 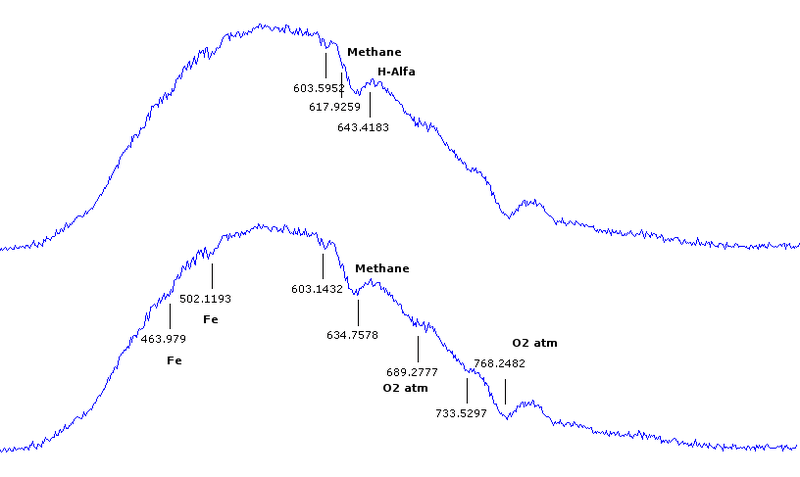 In this spectrum I've managed to capture one of methane absorption bands (other are in deeper IR). 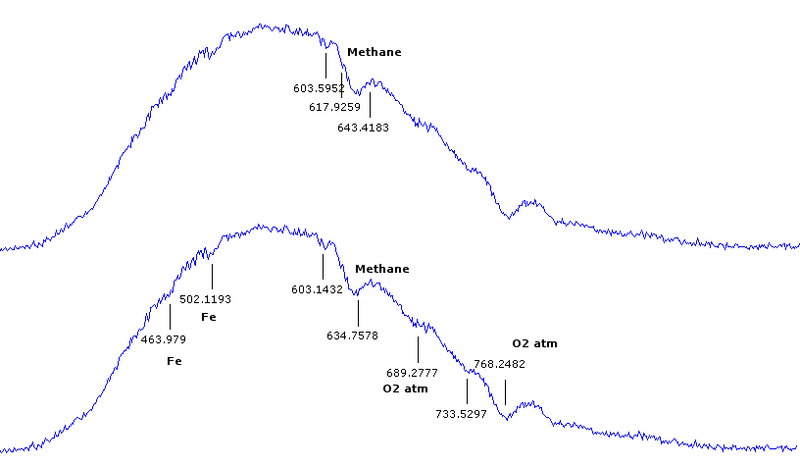 There are also some Fraunhofer lines from reflected Sunlight and Earth atmospheric oxygen. 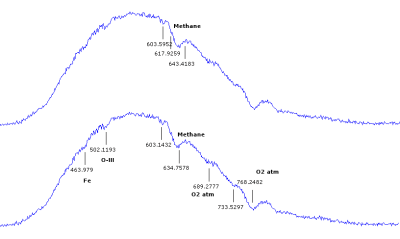 There are methane filters that pass narrow band at 889 nm - one on methane absorption bands. 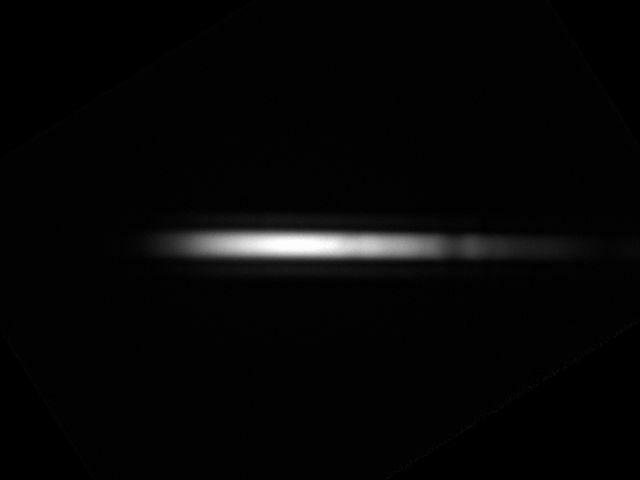 Using such filter in a big telescope you can get interesting images of gas giants - as parts of the atmosphere which contain more methane will be dark/black and parts without it (or transiting moons that don't contain methane) will be bright, white. Using 2x Barlow and aligning Saturn rings perpendicular to the spectrum given by the grating I've captured spectrum of the rings and spectrum of the planet. Using previous spectrum of Saturn and spectrum of the rings I've created a comparison chart. The spectrum were calibrated on Fraunhofer lines. 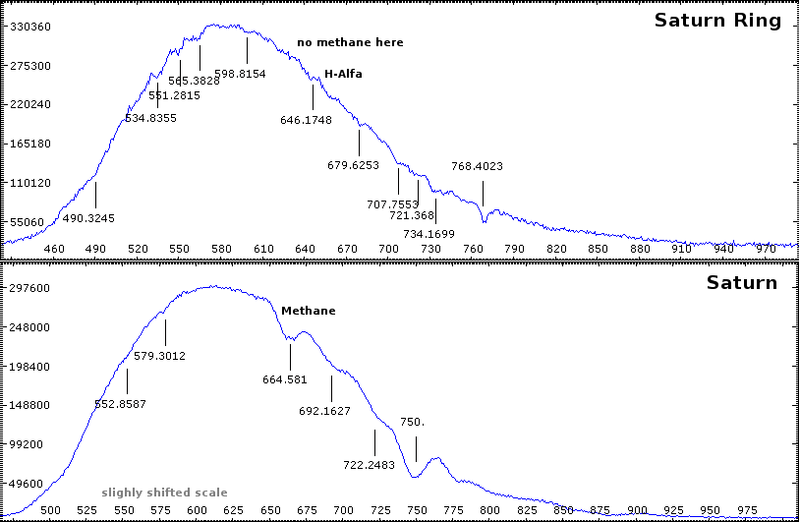 As we can see there is methane absorption band in the planet spectrum and none in the ring spectrum - as the rings doesn't contain methane.